While no one can say for sure how Mackintosh’s style can to fruition, we do know that the 1890s was a decade of learning and development for him. This when he went forward with his architectural training, traveled to Italy. While his style is very different than Italian masters at the time, you can see an attention to color and romantic Italian themes, specifically floral patterns in his work. However, one would characterize his work as that of progressive modernity with the spirit of romanticism, and clearly the father of some of the most influential Art Nouveau styles we see hints of in buildings and art today. By far the most commonly known and often imitated motifs by Charles Rennie Mackintosh is his signature rose. Its simple form, natural curves, and simple texture sets it apart, as well as his use of bold colors against clear glass. Truly one of the world’s most marvelous stained glass motifs, it is the very picture of doing more with less. While no artist today can truly do justice to Mackintosh’s signature style, we at Stained Glass Austin, offer marvelous custom stained glass windows in the style of Charles Mackintosh that are absolutely stunning. Our work will leave you with a sense of vintage luxury, as his work once did in homes and buildings across America. Truly ahead of his time, Mackintosh’s designs are as relevant today as they were at the turn of the 20th century and will look wonderful on any home old or new. 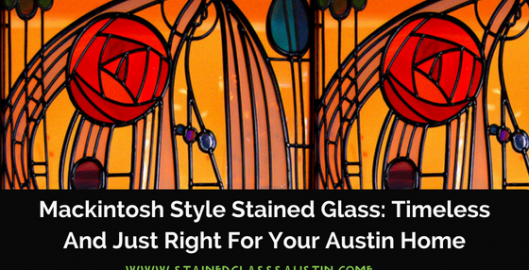 Contact us today to learn more about Mackintosh style glass to beautify your Austin home. Stained Glass Austin specializes specifically in custom stained glass pieces for Austin residential and commercial properties. Austin is renowned for its active art scene and unique architecture, promoting a lot of rich culture throughout its neighborhoods. Many of our customers enjoy stained glass ranging from traditional, colorful windows to elegant, leaded pieces. Those who have specific art movements they embrace can have beautiful stained glass recreated with these styles in mind. 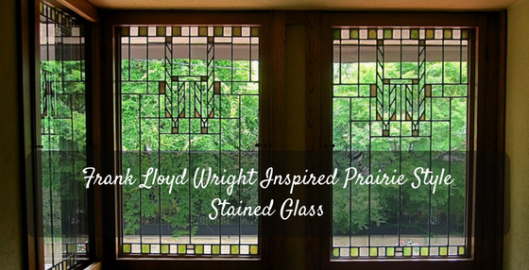 One of our favorite influences among modern stained glass pieces is Frank Lloyd Wright. Around the world, stained glass is renowned for its striking beauty, inspiring millions of people to travel to some of the most famous churches, libraries, museums, and hotels that sport these stunning works of glass art. For hotels in Austin, custom stained glass can infuse your structure with Old World elegance and splendor reminiscent of famous hotels like the Gran Hotel Ciudad de México, which boasts an entire ceiling of breathtaking Tiffany stained glass artistry from 1908 for a magnificently regal look and feel. This kind of awe-inspiring decorative component imprints on guests’ memories, leading them to book with you again and again to relive that wondrous experience. 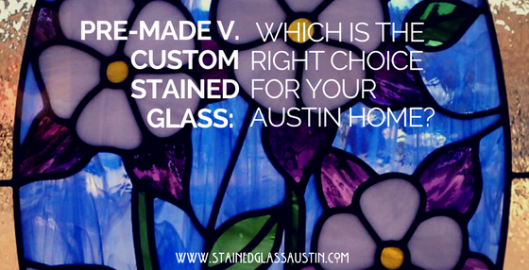 Pre-Made v. Custom Stained Glass: Which is the Right Choice for Your Austin Home? 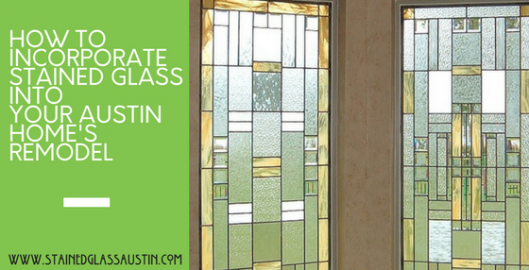 Stained glass is such a versatile medium that offers a lot of free creative direction for Austin homeowners. 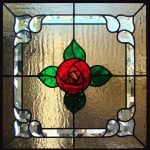 Choosing between pre-made stained glass and custom stained glass can be a difficult choice– both have their own sets of positives and negatives. It’s important to understand the differences before purchasing this investment for your home. 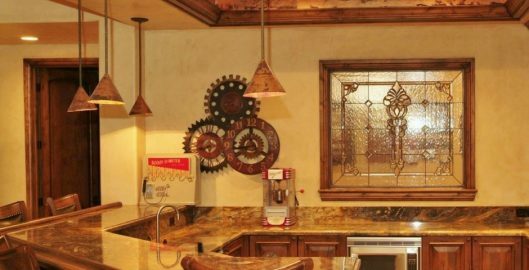 Stained Glass Austin is proud to have the largest inventory of pre-made stained glass and antique stained glass while also being the preferred custom stained glass studio in the area. 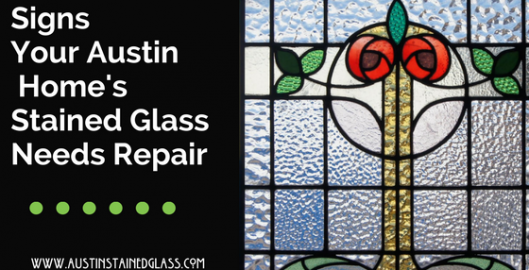 Stained glass improves Austin homes’ aesthetics by using traditional methods to create an improved modern design, much like our dynamic city itself. That’s why stained glass is such a fantastic choice for an eye-catching design element in your kitchen, one of the focal points of any Austin home. Austin residents agree that stained glass is a beautiful art form which can convey powerful symbolism, display beautiful imagery, and reflect certain art movements throughout history. Even though traditional stained glass is what most people are familiar with, modern applications are beginning to be more and more popular. 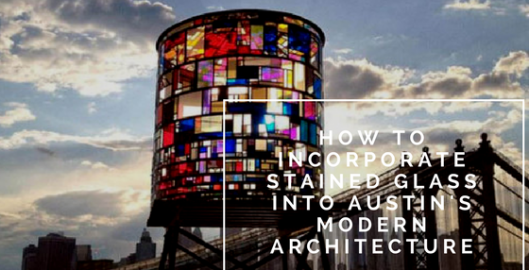 Austin commercial buildings and residences have started incorporating stained glass in new, innovative ways, taking this old, traditional art form and turning it into something contemporary that compliments modern architecture in a great way. 18 years after the turn of the last century, we are seeing the nation’s stained glass and leaded glass nearing or already at the 100th-anniversary mark. This same glass, however, here in Austin and around the US, has not been cleaned or repaired–sometimes since it was installed. But In order to have the best, brightest and most beautiful stained glass in your Austin home, proper care is essential. The question then becomes– when it is time to have your stained glass cleaned or repaired and how can you tell? 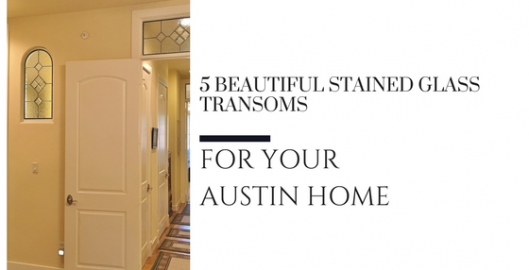 Below are some things to look for in your Austin home’s stained glass windows to give you an idea about its condition and whether or not it needs repair or simply cleaned. It is beautiful and something a lot of homeowners looking for an understated elegance in their home often consider but are hesitant about because what they perceive to be a long, drawn-out process and the fear of great expense. While stained glass is a home improvement with a bit more pricey initial investment than others, when it comes to sell your Denver home, it is well worth it since it yields as much as 10x your initial investment. As for the perception of stained glass having a lengthy and difficult install, that could not be further from the truth. 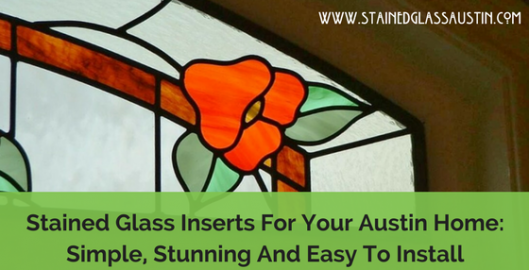 In fact, homeowners in the Austin area will be surprised to find that stained glass can actually be installed by us, here at Stained Glass Austin, by way of leaded glass inserts. This method is simple, speedy and looks just as good as any other stained glass installation method.